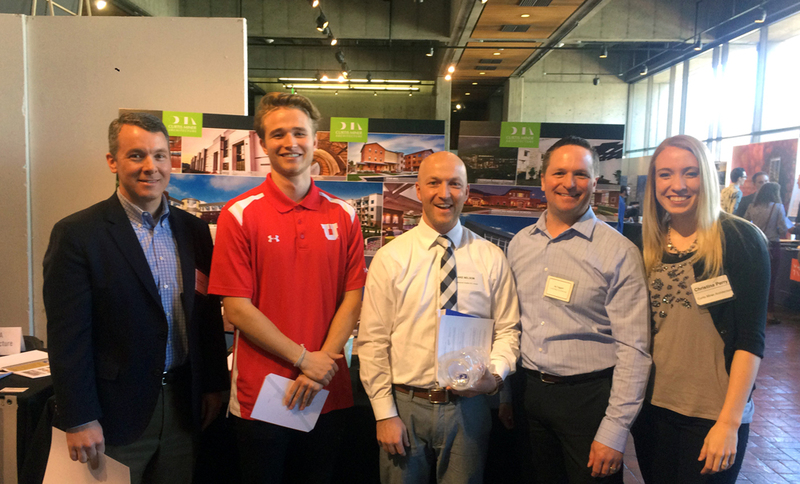 On March 24th, Curtis Miner Architecture was proud to be represented at the University of Utah’s Architecture Firm Fair held at the architecture building on campus. Nearly all of Curtis Miner Architecture’s architects and project managers have graduated from the U. Curtis Miner Architecture recognizes the value of the Architecture Program at the U and we appreciate the talent that comes from it. 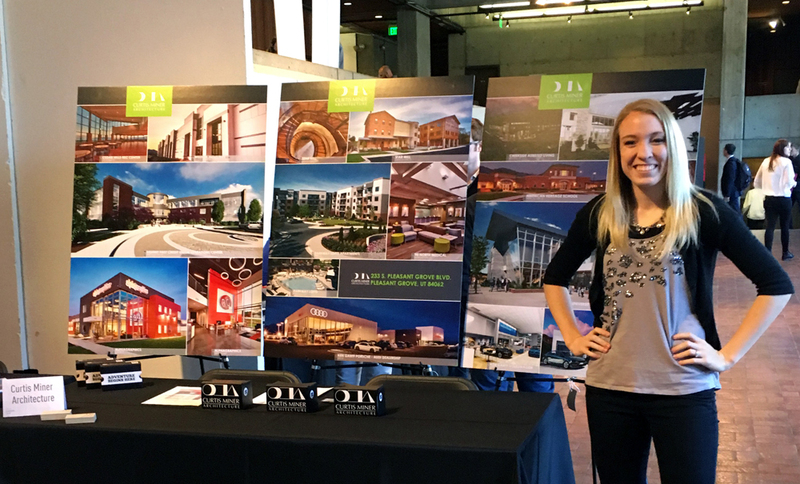 Curtis Miner Architecture’s booth set up at the U of U Firm Fair. Our boards displayed our most recent notable projects in all of the different market sectors we work in. We also had 3 Google Cardboards set up with virtual realities of some of our favorite recent projects for students to try out. Curtis Miner Architecture is a family-oriented company who puts a great amount of importance on maintaining a good work-life balance. We don’t want to take people away from their families more than necessary, so we work very hard to keep overtime hours to a minimum. Curtis Miner Architecture truly cares about each of their employees and focuses on finding the right people for the company and making sure they will be able to stay long-term. As a smaller firm, our office truly is like a second family. This is in large part due to the principals’ efforts to find the right people for the firm. Having fewer people also means that each of our employees has the opportunity to participate in various aspects of the design process. When asked repeatedly by students what our specialty was, Curtis Miner Architecture noted that they consistently have projects in a diverse portfolio of market sectors. While different architects within the firm do specialize in specific areas, our office as a whole has the opportunity to work on various project types and sizes. Our office strives to cultivate an atmosphere of forward-thinking design and active continued learning. Every other month we hold Revit Tips & Tricks lunches where everyone comes with their best tip to share and then people vote on their favorite tip and the winner gets $50. We also regularly plan and provide training sessions for our employees who would like to expand their skills in things such as Photoshop, SketchUp, and Lumion. We enjoyed our time at the firm fair and were grateful to meet all the students who stopped by our booth! 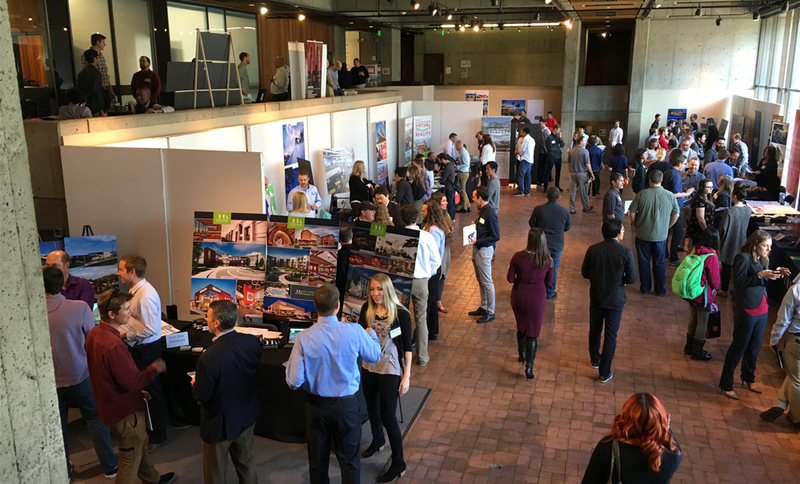 Curtis Miner Architecture enjoyed connecting with both old and new faces at the U of U Firm Fair.